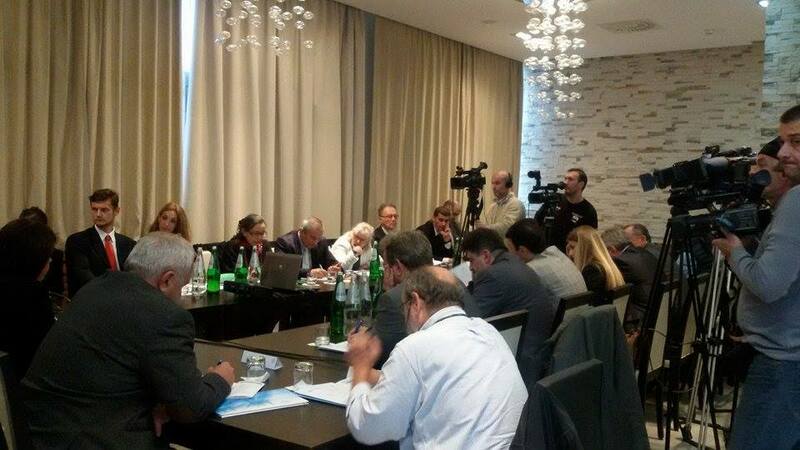 On September 29th in Belgrade the Igman Initiative, a network of over 100 CSOs from the region, organized a Conference Dayton Agreement and the Region – 20 Years Latter – Further Prospects of the Western Balkans, within the framework of the project Twenty Years since the Dayton Agreement, with support from the European Fund for the Balkans and the Balkan Trust for Democracy. The conference was attended by the representatives of international community, civic sector, government institutions and media. In his introductory speech Aleksandar Popov, Igman Initiative co-president for Serbia, presented the idea of the Igman Initiative to produce a report in the state of affairs in the region 20 years since the Dayton Agreement. Popov highlighted that relations between Serbia and Croatia abruptly ceased on technical level. ‘Rhetoric is such that it put us in the place where we were 20 years ago. Such situation is dangerous and unsustainable to a great extent. Instead of transforming the region into decent place for living over the past 20 years, we have brought mutual relations to the lowest point since the signing of the Dayton Agreement’ – Popov stated. Oskar Benedict, Deputy Head of the EU Delegation to Serbia, stressed that Bosnia is the key actor in the implementation of the Dayton Agreement. 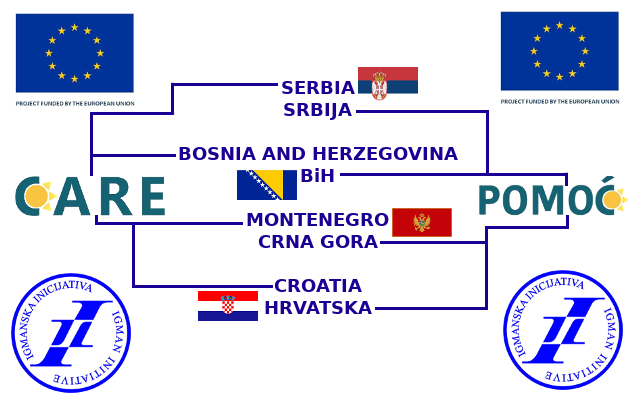 In accordance with the agreement from the 2014, Bosnia have met two major prerequisites: it has met the requirements for the realization of the Stabilization and Accession Agreement, and political elite has reached an agreement on the agenda of reforms necessary for the improvement of socio-economic situation. He highlighted the significance of Bosnia’s advancement in the area of good neighborly cooperation, through conclusion of the Border Agreement with Montenegro in Vienna. He praised the accountability of Serbia in the situation of grave refugee crisis, pointing out that the country has faced probably one of the biggest challenges in the past 20 years, on which all countries of the region need to cooperate. Michael Uyehara, Deputy Head of the OSCE Mission to Serbia, pointed out that when it comes to unresolved issues in the region the return of refugees and trial of war criminals are two major issues to be tackled. These two issues remain sensitive within bilateral relations in the region. He mentioned that the OSCE Mission, along with its partners, works on resolving the issue of refugees and IDPs through realization of Regional Housing Programme. Concerning the trail of war criminals, he stressed that the regional efforts have brought good results, however there is still much that needs to be done by national prosecutors, which are the key factor in resolving this issue, especially for the reason that the Hague Tribunal has narrowed its jurisdiction. Marina Jovicevic, Assistant Minister of Foreign Affairs, stated that the Republic of Serbia is dedicated to regional cooperation and to safeguarding the stability in the region. She reminded participants of recent events in the region and of Serbia’s efforts to resolve open issues in a diplomatic way. She stated that Serbia is also committed to preservation of territorial integrity of Bosnia and Herzegovina. In relations with Croatia it is of great importance to put the unresolved issues on today’s agenda so as to prevent them from surfacing later on as part of the EU agenda. Mrs. Jovicevic also highlighted a very important role of the EU in regional processes, and the fact that the EU needs to be more fully involved in the resolution of the retrograde processes which has been dragging the region backwards. Hedvig Morvai, Director of the European Fund for the Balkans, pointed out that by mapping the situation in the region the EFB came to the conclusion that there is a developed institutional framework for communication in the region: ministers meet occasionally, however there are no concrete results of these intense contacts. She also highlighted the importance of developing, exchanging and improving human resources at regional level, and of creating a synergy between numerous efforts of civic sector and other significant corresponding initiatives, all while taking into consideration actual policies so as to develop solutions that will be popular and accepted. Vehid Sehic, Igman Initiative co-president for Bosnia and Herzegovina, stated that Dayton Agreement, as the General Framework Agreement for Peace in Bosnia and Herzegovina, created legal preconditions for restoring peace in Bosnia, however it failed to create conditions for the development of democracy. 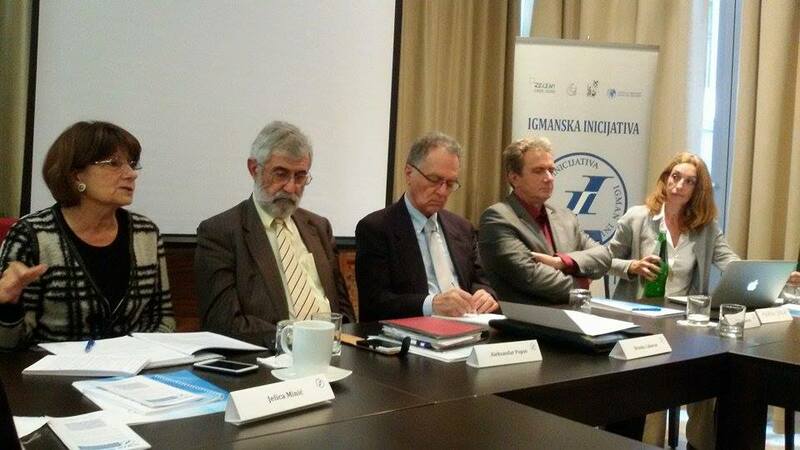 To talk about democracy in Bosnia, which rests on discriminatory Constitution, is impossible. According to his words, the biggest shortcoming of the Dayton Agreement is the fact that there is no time limit to it and that the Agreement is to be implemented by ‘the master of the war in Bosnia.’ As much as the regional cooperation is being assessed as sufficient, it still depends on external factors, as there is no genuine political will in the region for cooperation and for facing the facts, i.e. speaking frankly and directly about them for the sake of building better relations. He stated that the experiences of Germany in facing the past could be valuable in that regard. Jovan Teokarevic, the Igman Initiative expert, pointed out that the biggest issue in the region is growing trend of radical right-wing extremism, additionally vastly promoted by tabloid media. The EU is characterized by the enlargement fatigue while the countries of the region got tired of the process of internal reforms. He highlighted that the closing of borders with Croatia denotes a considerable defeat in relations and regional cooperation, as the border blockage indicates invalidation of all efforts to overcome the issues of the nineties. He also mentioned that there was no transparent reporting on the agreements reached during Vienna Summit, and that he disapproves of joint declaration not being adopted as regional agreements, but rather as merely conclusions of the host. He deems that if citizens fail to recognize tangible results of the EU integration they will fail to recognize the significance of regional cooperation. Nerzuk Curak, the Igman Initiative expert, deems that the key issue of regional cooperation the Dayton Agreement. In his opinion Bosnia has been forced to attain political union on the premises that do not allow the attainment of political union as it characterize the structure which implies hostility. He calls on the decision makers to make necessary reforms within schizophrenic Dayton citadel. 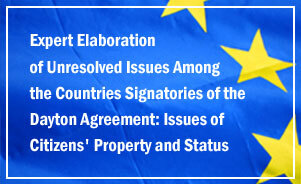 The main issue of the Dayton Agreement lies in the possibility of its two-fold interpretation, which led to conversion of entities into quasi states. He also highlighted that the situation in Bosnia, as a result of the departure of the High Representative, reminds of the state of internal anarchy which could result in another burst of violence. In his speech, Aleksandar Popov focused on the mapping of remaining open issues in the region. He pointed out that, despite all optimism, it is still incredible that 20 years after there are still numerous open issues between those four countries. The most remarkable issues are dissimilar views of common history, and interpretation of the entire war period. Also, there are the issues of borders, succession, missing persons, status and property of citizens, trying of war criminals and the rights of minorities. He deems that the cause of so many unresolved issues is the lack of political will for finding solutions. In all four countries political options had changed numerous times, however little has been done to reduce the number of these issues. Furthermore, these issues are often misused on daily basis for political purposes. Marika Djolai, the expert of BEPEG Institute, pointed out that the important result of the Vienna Summit is that all four countries formally pledged to make each year a report on what has been achieved as part of finding solutions to the issues in the area of bilateral agreements. Also, BEPEG suggested the adoption of a declaration according to which the countries of the Western Balkans will undertake the responsibility not to block accession of the countries of the region to the EU due to bilateral issues. According to her the fact that certain bilateral agreements have been concluded does not mean that the issues have been resolved or no longer exist. 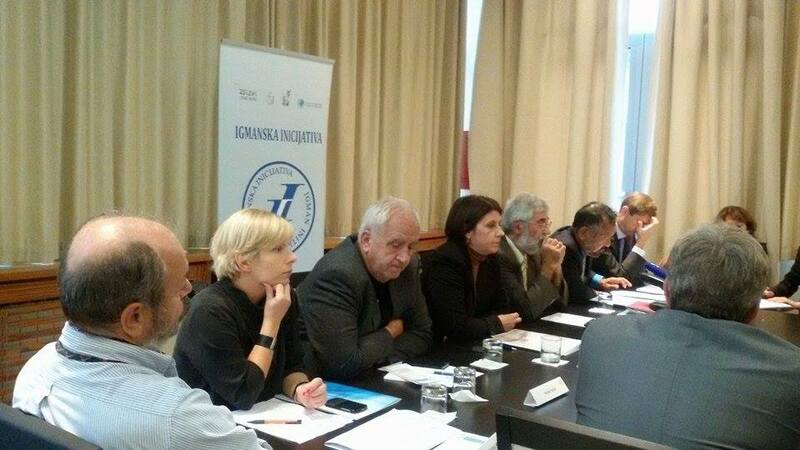 Jelica Minic, President of the Forum for International Relations of the European Movement in Serbia, expressed disagreement with the statement that the regional cooperation was completely initiated from the outside, even though she thinks that EU is a significant factor for its functioning. Taking into consideration all circumstances she thinks that the EU has remained as the only pillar of support to regional initiatives. For everything that is happening in the region we need to ask ‘what is our responsibility’, however significant responsibility is on the international community for the reason that the region bears consequences of the global economic crisis, war in the Middle East, refugee crisis, etc. We have always been stricken by much larger geo-political games.